ABOUT: Celebrates the birth of show business and tells of a visionary who rose from nothing to create a spectacle that became a worldwide sensation. 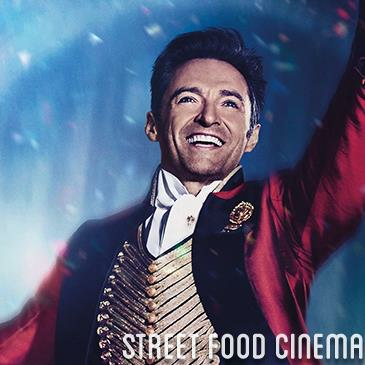 LIVE MUSIC: Visit www.streetfoodcinema.com/the-greatest-showman/ for the most current Live Music listing! FOOD TRUCKS: Visit www.streetfoodcinema.com/the-greatest-showman/ for the most current Food Truck listing!